Born on March 12, 1922, in Lowell, Massachusetts, Jack Kerouac’s writing career began in the 1940s, but didn’t meet with commercial success until 1957, when On the Road was published. The book became an American classic that defined the Beat Generation. 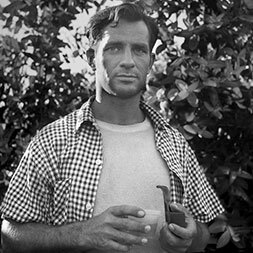 Kerouac died on October 21, 1969, from an abdominal hemorrhage, at age 47.